Are you going on an outdoor trip? 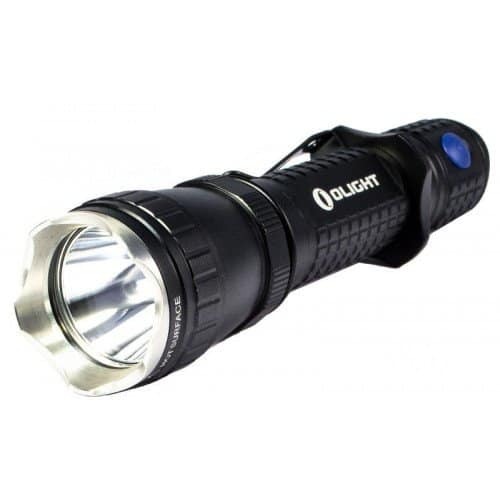 Or are you security personnel looking for a good flashlight for those late night patrols? For both of these cases, a long throw flashlight would be the perfect equipment to carry with you. Best throw flashlight can throw out long distances light beams that make far away objects noticeable. They are quite different from your normal everyday use flashlights, and you can utilize them as self-protection, survival, and tactical tool. However, due to the highly competitive market, there are many different kinds of long throw flashlights available. But worry not, to make things easier for you, we have checked and reviewed the top 10 long range flashlights available in the market for 2019 below. 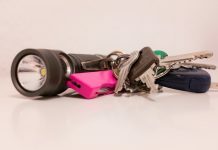 2 Buying Guide: How to Buy the Best Throw Flashlight? 2.1 What’s the Beam Distance? 2.2 What is Battery Type and Life? 2.3 What is the Beam Type? 2.4 Design; What it’s Like and is it Durable Enough? 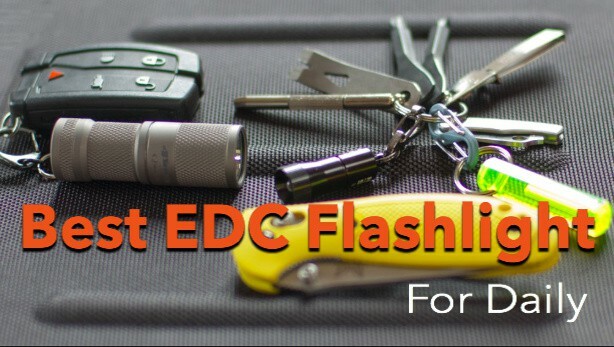 So, here are our top 10 picks for the best throw flashlights. 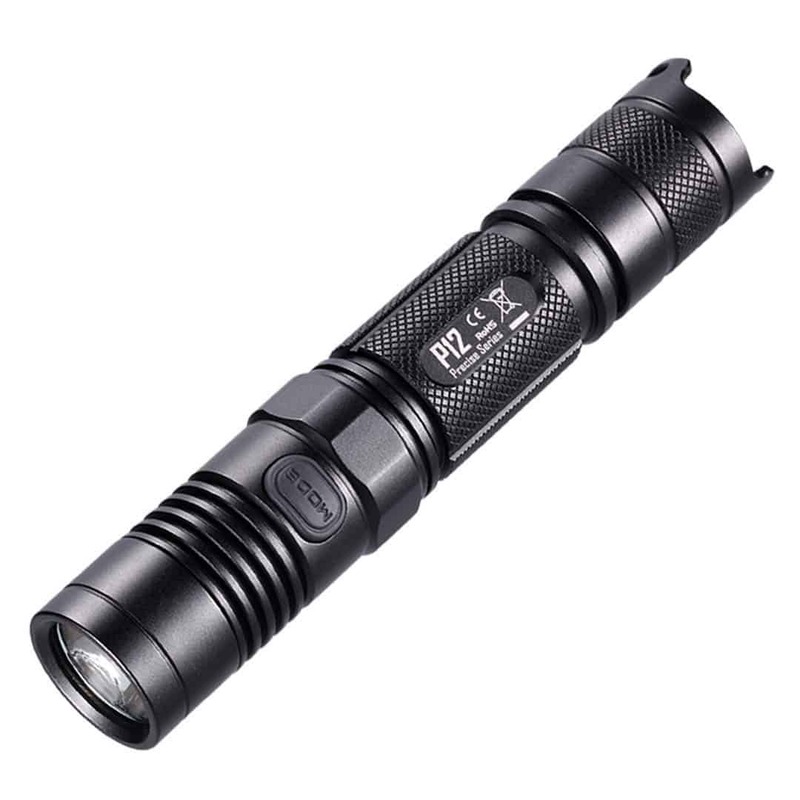 ThruNite TN32 is without a doubt a powerful, versatile, and compact flashlight which is designed especially for those people who require long-range flashlights. Its maximum output is around 2000 lumens. 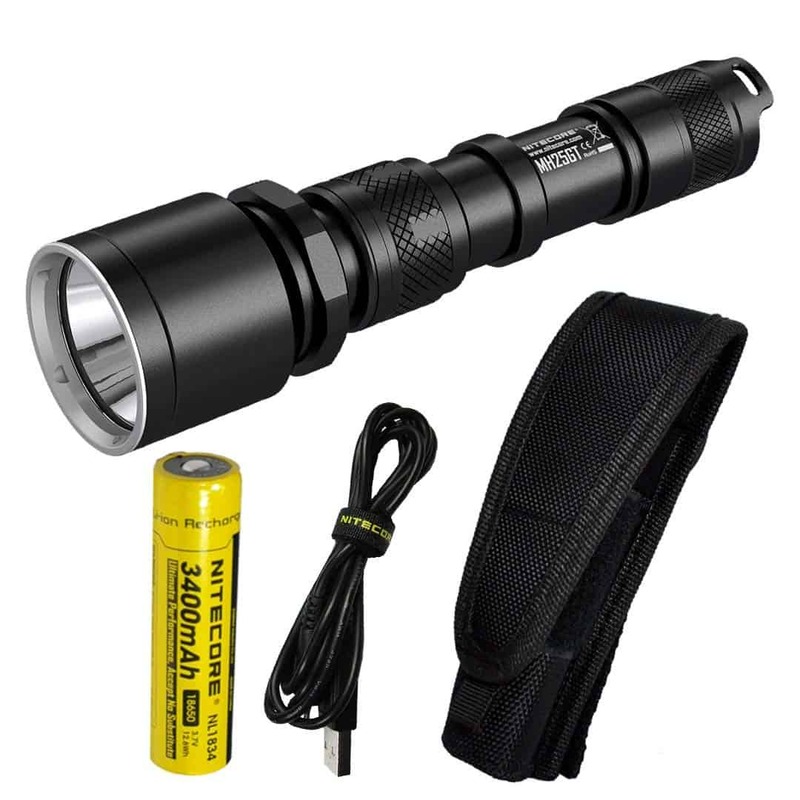 Other than the powerful beam, this is one of the best performing flashlights with a maximum beam length up to 5000 feet. Furthermore, it utilizes dual on-body switching to easily switch between two types of beams and four brightness levels. What’s more, it’s extremely lightweight making it just enough for all your requirements. However, every good product has some minor inconveniences. The complaint about this product is that when the flashlight is in the holster, the light can turn on accidentally. To counter this, make sure the on/off switch is facing your pants’ belt loop where it’s the thickest and least likely to be activated accidentally. 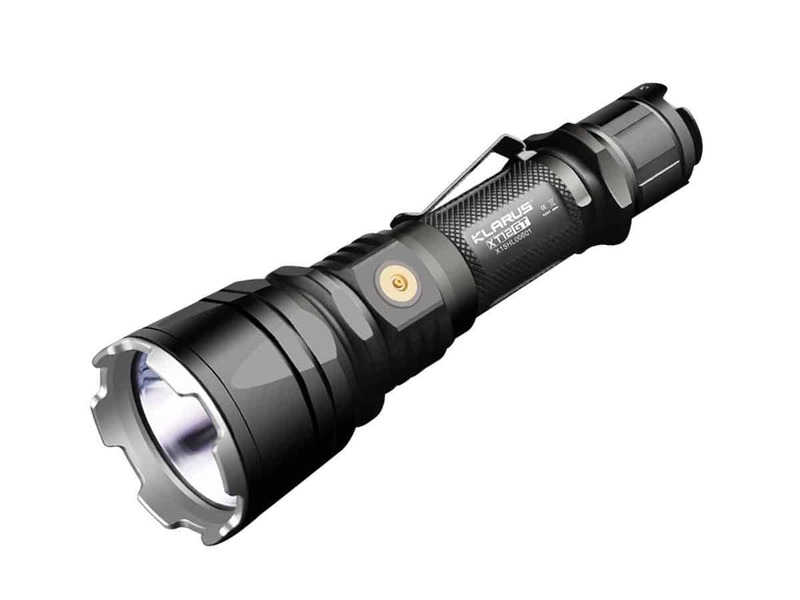 The Nitecore P12 flashlight boasts an incredible brightness of around 1000 lumens and a beam throw of 761 feet. In addition to that, the flashlight uses two CR123A lithium batteries. It is the ideal gadget for surveillance, and it is super easy to use as the side switch of the flashlight offers one-handed operation. Furthermore, there is a light indicator which will show you the remaining battery power. It is quite easy to control the flashlight as it uses a highly-effective regulation circuit that gives a consistent light output. 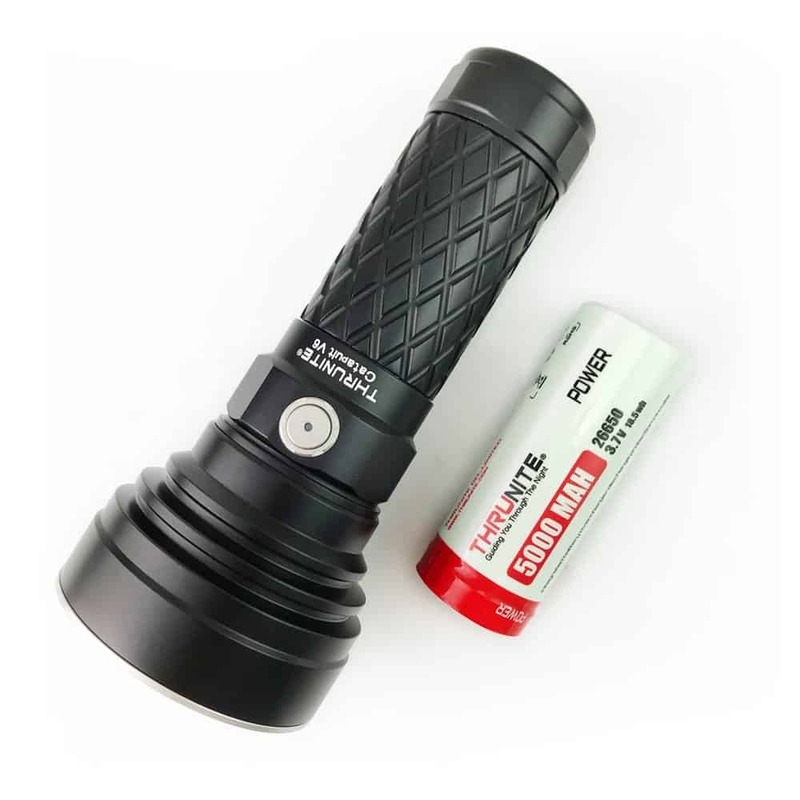 The flashlight is constructed of aircraft grade aluminum alloy with an anti-reflective coating which is of good quality and attractive. Lastly, the flashlight is waterproof, and it has a stainless steel titanium plated clip which comes with the package. The Thorfire C8s electric lamp is an extremely powerful throw flashlight. It is driven by 2.8 amps high current which gives out at least 900 lumens of light on the highest mode. However, It doesn’t stop there; It is very well designed with the erosion safe aluminum material which makes it perfect for the outdoors. So next time you’re going hunting or camping, make sure to take this along with you. Furthermore, It has five different modes: the moonlight, low, mid, high, and strobe. The high mode gives out 900 lumens and has a maximum beam distance of around 1900 feet; the low is simply 30 lumens, the mid is 280 lumens while the strobe is 0.5 lumens. Moreover, the moonlight mode is low to ensure one’s night vision. Coming to the best part, this flashlight uses a rechargeable battery so you can forget about buying disposable batteries. Nitecore is a flashlight company based in Austin, TX which has been at the forefront of the LED lighting industry for more than a decade. 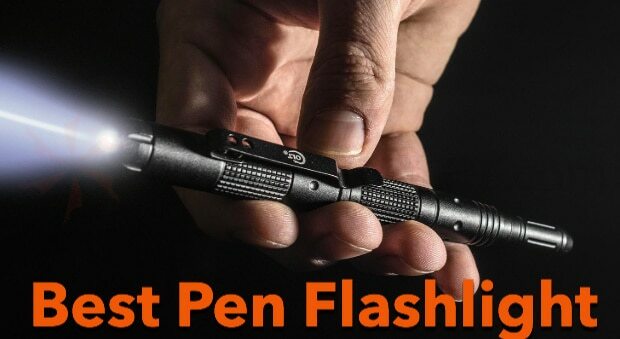 It is for this very reason that you see Nitecore’s flashlights being mentioned again and again in our articles. The MG25HT is no exception to the company’s name, it produces an output of 1000 lumens with a bright and focused beam. In addition to that, it has an extended runtime of about 2400mAh and uses a rechargeable battery. The flashlight has a beam distance of around 1500 feet which improves the visibility and keeps you alert. It comes with a USB charging port in addition to a USB cable so you can easily charge the flashlight wherever you find feasible. Furthermore, the Nitecore MG25HT uses a rotating head that allows you to quickly switch between the turbo and user-defined modes. 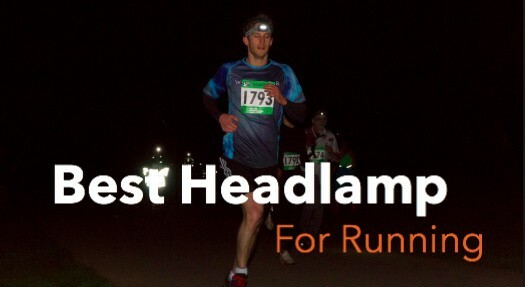 The turbo mode provides you with the highest brightness level whereas the user-defined mode is accessed by loosening the head of the flashlight. Once lose, you can very quickly and easily switch between the high, mid, low, strobe and SOS modes. Also, for everyday use, the flashlight comes with a pocket clip, a tactical lumen adaptor, USB link, and a pouch which all collectively make the light usable with less or no issues. 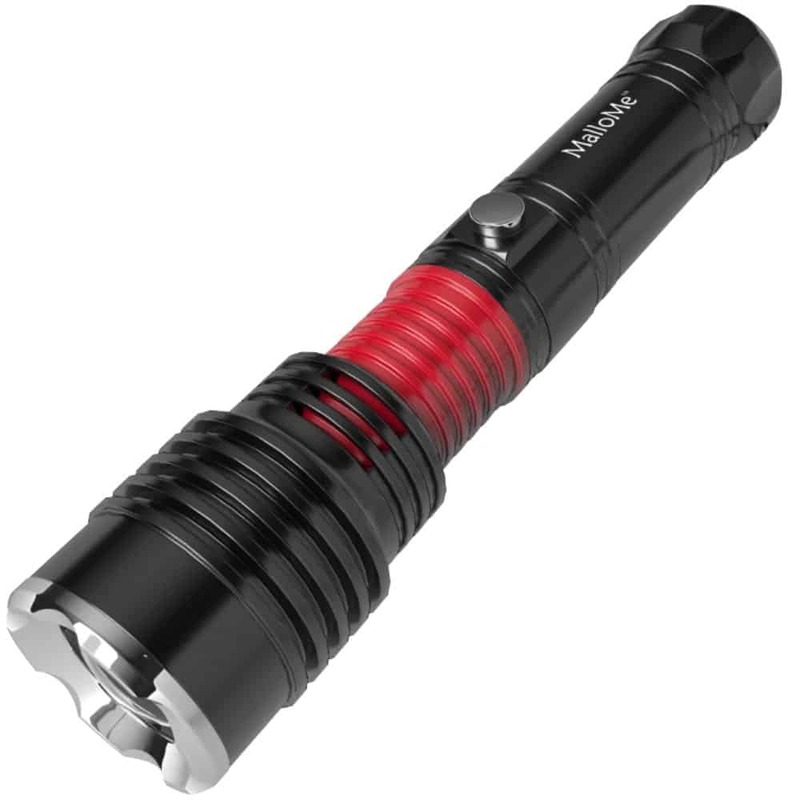 Lastly, this flashlight is extremely lightweight which makes it super convenient to use. 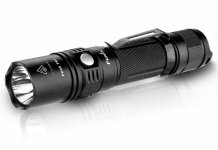 One of the main reasons for including the MalloMe 5000 Tactical LED Rechargeable Flashlight in this list is the remarkable zooming feature the flashlight offers. If you’re familiar with LED lights, you must be aware that there are two different types of lights, the spotlight, and the floodlight. The MalloMe 5000 is a combo light which has both of these. Its spotlight has a beam distance of around 600+ feet. Whereas, the floodlight is for illuminating large areas with an extraordinary output of up to 500 lumens. In addition to all that, this flashlight is well-built with industrial strength and it’s also resistant to corrosion which makes it strong and competitive. Furthermore, the flashlight offers five different light modes and three brightness levels. It uses a 18650 Lithium-particle battery which unfortunately is excluded from the package. However, the battery is rechargeable, you’ll just need to buy a cable to charge it. Lastly, this flashlight can be used for a wide range of things, it has no limitation which means it can be used by both grown-ups and kids. The Simon Cree DU2 flashlight is the most versatile flashlight on our list that can be used for both, indoor and outdoor purposes. 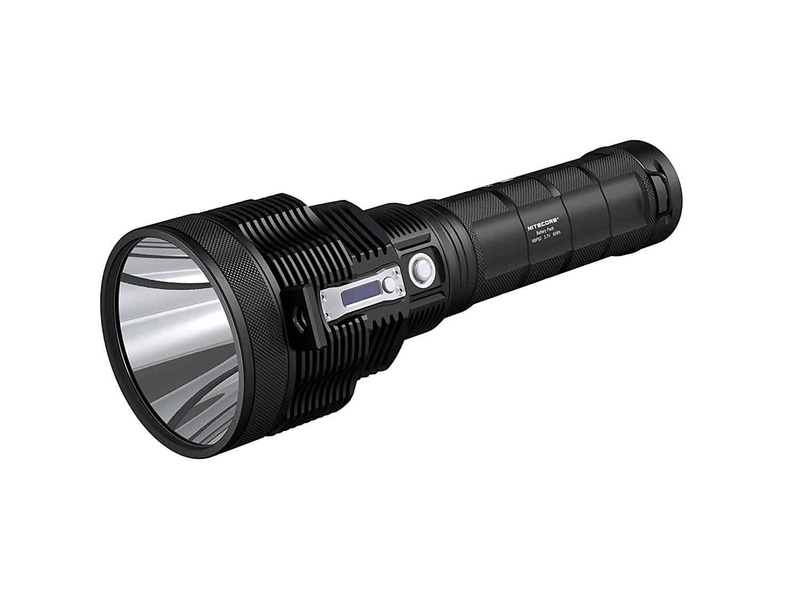 It gives a super bright output of 700 lumens that can illuminate vast distances and has 5 modes altogether. The flashlight can work up to 100,000 hours using a 18650 Battery. No, we are not bluffing here. It really works for a much longer period than the other flashlights in our list. Alongside this, it is very simple to use and has numerous settings which include low, medium, high, and strobe. Furthermore, Simon Cree DU2 is a gadget that is used by law enforcement agencies and the military. In fact, the majority of the security guards use this as well, and in eastern Africa, this long throw flashlight is known to be a vital tool for the vigilantes. In addition to that, it is also used by hunters, hikers, campers, and even mechanics. The fact that this flashlight is being used by so many agencies and people just further accentuates the product’s versatility and durability. However, battery and charger aren’t included with the flashlight so you will have to make that investment yourself. Coming at the seventh place on our list is the world’s smallest battery-powered long-range flashlight. We are sure you will like this one because it can be easily fitted into any purse or pockets. However, don’t judge anything by its looks because this flashlight is very powerful in spite of being small. It uses the SBT-70 LED innovation which, by its output, offers an extremely bright light which can light up to 3600 feet. The Brightness levels are also adjustable. They go from 1,800 lumens (no, it’s not a joke) with a runtime of 1 hour 45 minutes down to the lowest brightness level with 50 lumens and a runtime of 67 hours. Don’t worry about the battery though, the package includes NBP52 battery pack to double the runtime. Lastly, the button for switching between different modes is super easy to use as well. The Olight M20SX Javelot flashlight is equipped with a CREE XM L2 LED and delivers a maximum output of 820 lumens. It features three brightness levels and a strobe mode to confuse potential attackers. One of the best features this flashlight offers is the memory function. You can take advantage of this function and pick your most preferable brightness mode. Now, whenever you turn on the flashlight, it will automatically turn onto that preferred mode. Furthermore, the flashlight comes with a tail and side switch which makes it very easy to operate. Also, this product has a maximum beam throw of around 1200 feet. It is made from aircraft grade aluminum body which is type III hard anodized and scratch resistant. Besides all this, the flashlight comes with a pocket clip and thermal management to avoid overheating. In the 10 best hunting flashlights article, we talked about the Klarus XT30R as the best long throw hunting flashlight. The Klarus XT12GT is the latest release from this company and it continues its predecessors legacy of being one of the strongest throw flashlights. It utilizes a high intensity LED which is optimized to deliver maximum lumen output through secondary optics. This LED combined with the reflector enables the XT12GT to deliver a maximum output of 1600 lumens and a beam distance of over 1000 feet. In addition to that, the product has four different brightness levels and two specialty modes which are the strobe and SOS. Furthermore, with its double tactical tail switch, you can work with the XT12GT single-handedly without any hindrance. In addition to that, this flashlight has a magnetic charging port. It also comes with a Magnetic Charging Connector to transform any small scale USB cable into a magnetic one. Lastly, the flashlight comes with a holster and a lanyard. It can work using either a single 18650 battery or two CR123A batteries. Another ThruNite product on our list is the Catapult V6. This flashlight takes the last slot on our list but certainly isn’t the least one. 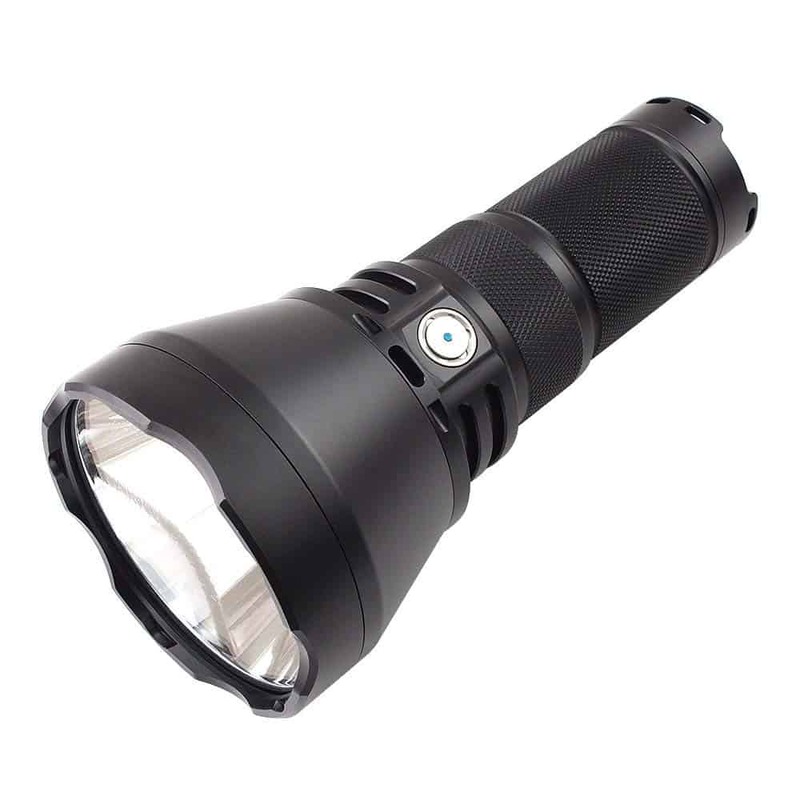 The flashlight is made from a strong aluminum body and has a hard anodized finish. Which means that the design is sturdy, therefore, you can easily use it without necessarily worrying about keeping it safe and secure. Because of this very reason, it is perfect for security guards and police officers. In addition to all that, the V6 has a maximum beam distance of 2400 meters and it’s rechargeable. Coming with a built-in USB port and cable, all you’re required to do is keep a check on the battery level indicator and charge the flashlight when it’s needed. 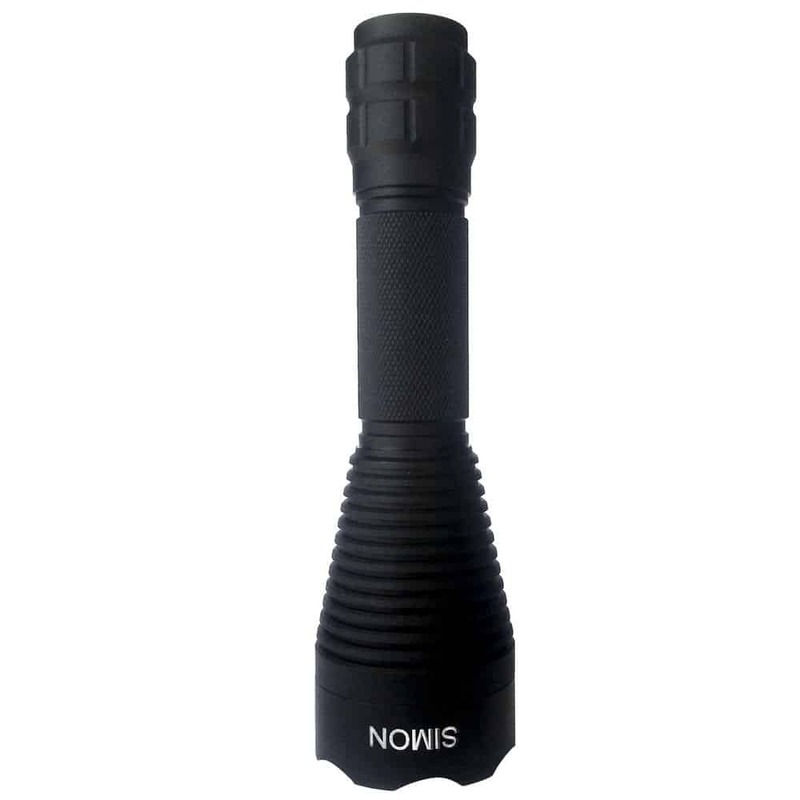 Additionally, this flashlight is impact resistant and can withstand drops up to 1.5 meters. The flashlight gives a maximum beam output of 1700 lumens. But it does offer six different light modes which you can adjust according to your requirements. 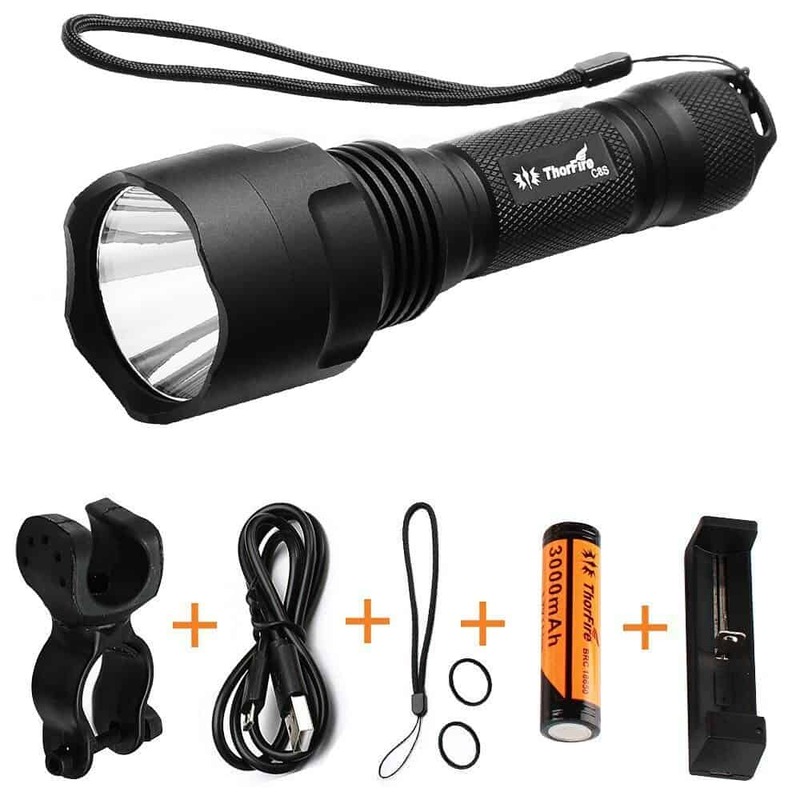 Buying Guide: How to Buy the Best Throw Flashlight? Before you go out and spend money on any kind of long-range flashlight, there are a couple of things you should remember. 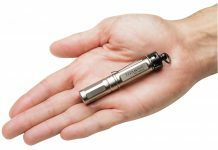 To make sure, you only get the best value for your money, let’s go over the main considerations you should make before purchasing a throw flashlight. As it’s evident from the name, throw or long-range flashlights are classified on the basis of their beam distance. The longer the beam distance, the better the flashlight. Light beam basically describes how far will the light go before it starts diminishing. However, it’s not totally about the highest beam distance because it also depends on how will you be using it. For example, in terms of survival, you’ll need a throw flashlight that gives off a longer and wider beam rather than a brighter and shorter one. 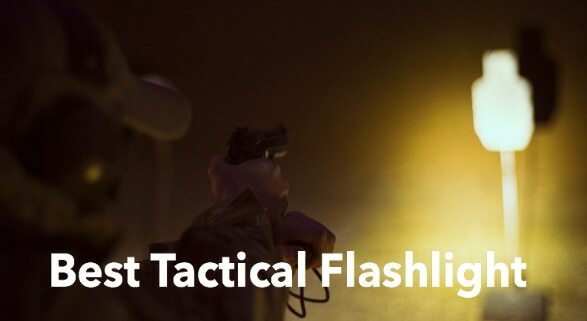 On the other hand, if you need the flashlight for self-defense, a brighter one would work perfectly as you can blind and distract your attacker by its beam. Lumen output is a key factor since it identifies the actual brightness levels. Of course, more bright is always better. Simply put, lumens let you choose how bright you want your flashlight to be. If you are a “Watt” fan, here’s the guideline: to replace a 100-watt (W) bulb, pick a flashlight that gives you around 1600 lumens. On the whole, keep in mind that a long throw flashlight with higher lumens is what you should mainly go for. What is Battery Type and Life? When you are going out to buy a long throw flashlight, the most interesting point would be the battery types. Different batteries come with different runtimes which vary according to their usage. 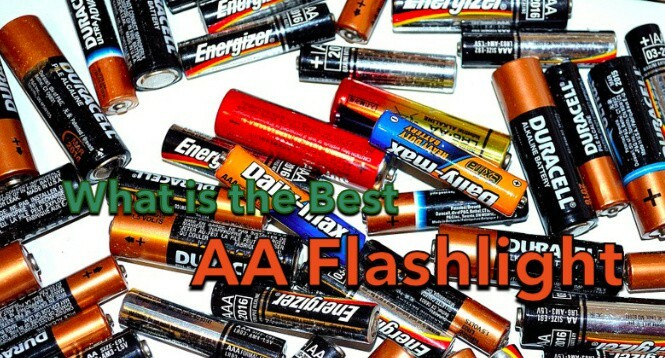 Batteries most commonly used in long throw flashlights are AA batteries, AAA batteries, CR123A batteries, and 18650 batteries. Picking out the type depends on the individual and a normal google search will pretty much help you out with this..
For instance, having rechargeable batteries is costly at first but in the long run, it can prevent you from spending on disposable batteries again and again. What is the Beam Type? First, decide your usage and then choose between a spot or flood type. A spotlight is more centered. It’s a single concentrated beam that will penetrate a long distance. A strong spotlight is visible in foggy air. A floodlight, on the other hand, is a fixed light. It is a wide beam which is helpful in general tasks like camping or strolling. However, in case you are uncertain about what to choose, pick the adjustable one and keep changing between those two according to your requirements. Design; What it’s Like and is it Durable Enough? Another critical question that surfaces is how much durable the electric lamp is? It’s smarter to settle for a flashlight that has an aluminum or anodized shell. And this is imperative in case your work requires you to stay outside a lot. Being outside translates to a harsh environment, and there’s a high chance of accidentally dropping the flashlight as well. In such cases, having an aluminum spotlight would be very helpful. However, do check whether your flashlight is impact and scratch resistant. Adding on to that, having a high waterproof rating will enable you to endure better amid the outdoors. Over the past years, there has been a huge improvement in the quality of throw flashlights being manufactured. Day by day, the competition is increasing. Pick smartly – the best throw flashlight that fulfills your needs and doesn’t burden your pocket is out there waiting for you to find it.